A powerful solution for dullness, reduction of fine lines and wrinkles. 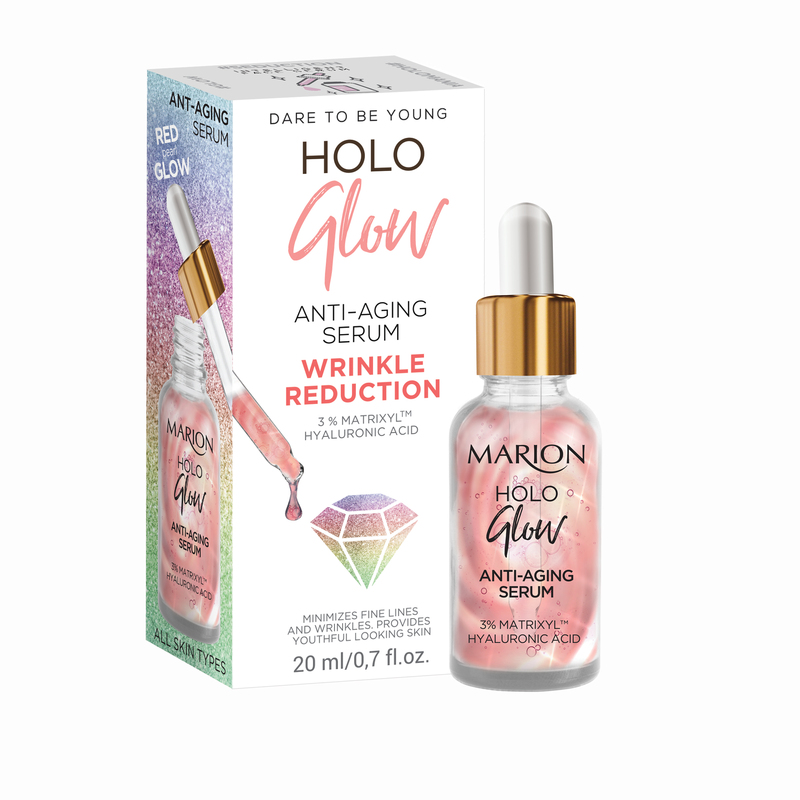 Fabulous formula with red pearl glow and Matrixyl™ effectively supports wrinkle reduction and renewal process. Hyaluronic Acid moisturizes providing youthful looking skin. Usage: Apply serum to palm of hands and gently press onto cleansed face and neckline skin. Apply morning and/or evening. All skin types.